Through The Station’s Servolution series we are looking at reaching beyond our church and impacting the world around us. 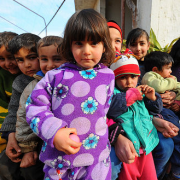 This week we introduced World Vision & Child Sponsorship as a way to love people with a more global perspective. As we loaded-in and set-up there were some tech challenges with the main audio system not working. 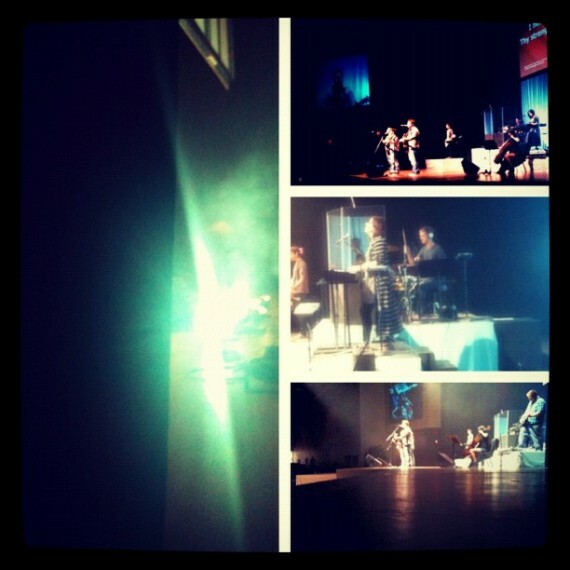 Twenty minutes before the start of our worship experience, we decided to strike the band and do an acoustic worship set. 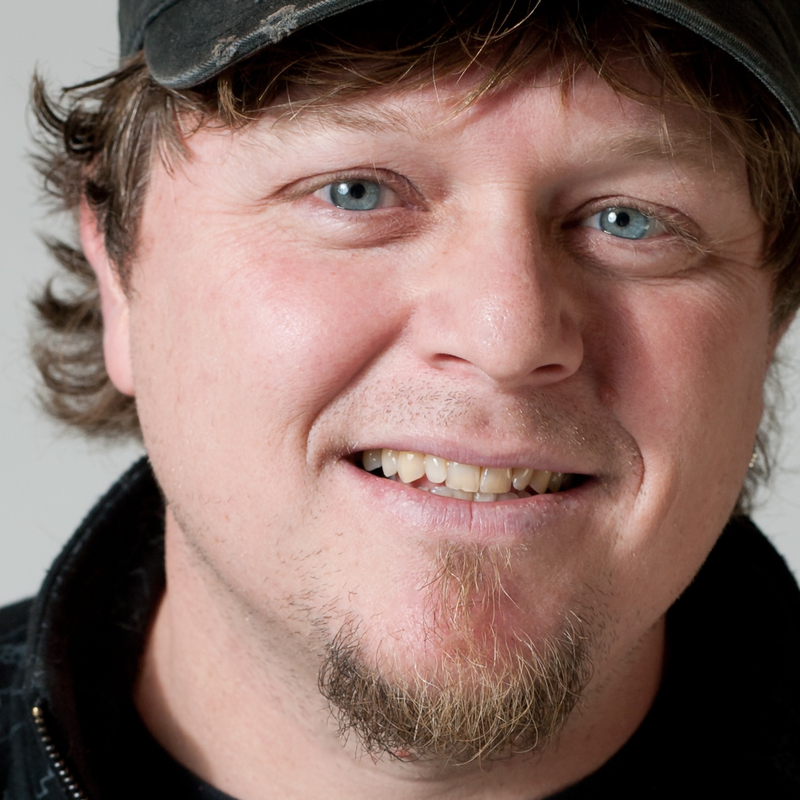 We took a couple floor-wedge monitors, turned them toward the audience for a little sound. It actually worked out great. People sang out and there was a great sense of community in our musical worship. 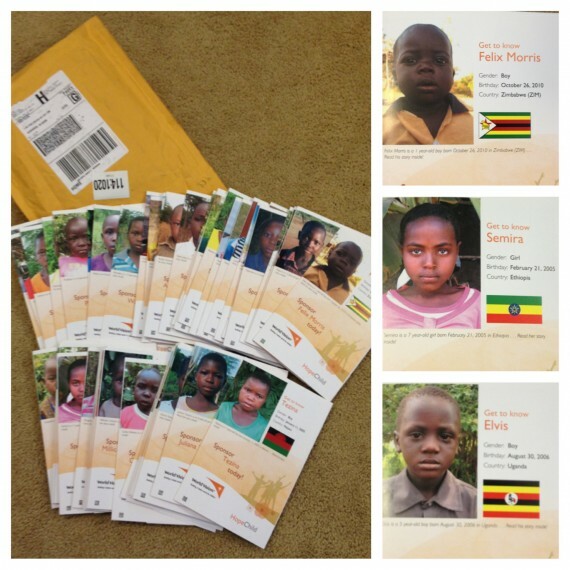 It was awesome to see 6 World Vision kids get sponsored today. Any frustration we experienced over the technical issues were completely overshadowed knowing that these 6 kids lives are being changed by loving sponsors. Do you sponsor a child? What has your experience been as a sponsor? These are the realizations that changed how we do Christmas. Several years ago we stopped buying ‘stuff’ for people at Christmas…and we stopped asking for ‘stuff’. We started doing our Christmas shopping through the World Vision Gift Catalog…and if someone wanted to shop for us, we asked them to do the same. We decided we wanted our gift giving to matter…to have purpose…to bring hope and joy to our world. Now, I’m not saying we don’t buy gifts for our kids and lean into the magic of Christmas…I love the wonder of Christmas that happens with my kids…but we also wanted to teach our kids that we believe there’s more to the Christmas season than just hustle & bustle and consumerism and want…we get to do more than that. The World Vision Gift Catalog lets us give a gift in someone’s name that brings life-changing possibilities to those needing it most. 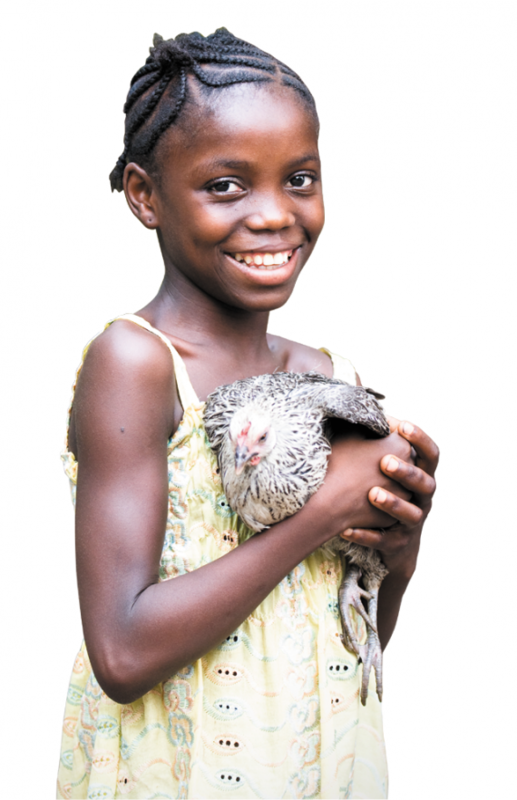 We can buy a goat or a chicken to help a family feed and provide for themselves. We can help orphans go to school or pitch-in to help dig a clean water well. There are a lot of creative ways to give and each one makes a powerful impact on someone’s life. 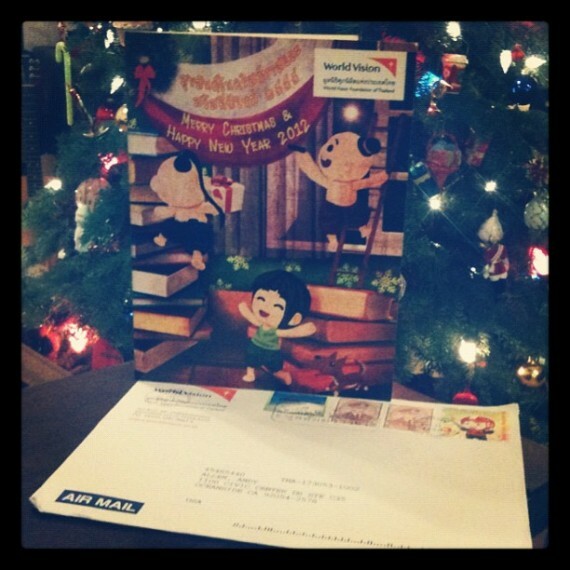 The season’s first Christmas card arrived in our mailbox. It was from our sponsored Daughter in Thailand. Her name is Pornjaratsri and she is 17 years old. Wishing you peace, love and fun in Christmas and New Year. So…definitely a good reminder that I have just enough time to send Christmas cards and letters to all our sponsored children. You can too. If you sponsor a child with World Vision you can send a card or small 6×9 envelope with gifts via air mail to your child. You can also send an email now to your sponsored child in most countries. When you write, it tells them they are loved and valued. They don’t always feel that way. Christmas is a great time to give a little hope. A quick card or letter really does make a huge impact. To send an email to your sponsored child, you can CLICK HERE. 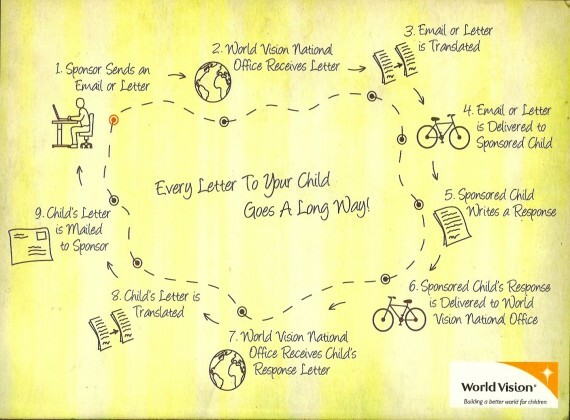 If you’re not sure what address to mail a card to, call World Vision at (888) 511-6548 and they’ll help you out. Don’t sponsor a child yet? You can start today by visiting www.worldvision.org.